Looking back at 2017, it's been quite a year for Bloodhound. At the start of the year we were testing the fuel system, assembling the front suspension, completing the car's steering, spinning up the jet engine gearbox with the car's air starter - a list of things to fit, try and finish before the car was ready or its first runs. The list seemed endless, but we did get to the end of it, and the car ran for the first time in October. 2017 became the year of "Bloodhound is Go!" and boy did it go. Looking back on it, we wanted to do three things. We needed to start preparing the car, and training the team, to race faster than anyone has ever done before. We also wanted to show all of our 300-plus sponsors what we have achieved together so far, and to thank them for their amazing help. Most of all, though, we wanted to show the world how amazing this vehicle is and to hint at what it can (and will) achieve over the next couple of years. Based on the huge media coverage and the terrific feedback we've had, we achieved all of this and more. When we ran Bloodhound SSC on the runway at Newquay, we were asking the car to do a whole lot of things it wasn't designed for. Running on a short track (OK, 1.7 miles of runway may not sound short, but at 200mph it certainly feels short), the car had to speed up and slow down very quickly. Put it another way: we were trying to operate a supersonic land speed record car like a 5-tonne jet-powered drag racer. The thing that still surprises me is just how well the car did that, and how easy it made it look. This car is like nothing I have driven before: its performance is simply astonishing. The car is now back in pieces, with the EJ200 jet engine removed and "inerted" once more. If the EJ200 is not used for 90 days or more, all of the pipework is flushed through and filled with an "inerting" fluid that prevents corrosion. This is a standard procedure for a jet engine, to make sure it's in tip-top condition for next year's runs. It might look a little sad to see it end such a successful year in pieces, but that is the life of a prototype racing car. Even without the need to inert the EJ200, we would still have to strip the car down, to clean and protect all the metal components from corrosion. At Newquay we were out in all weathers to get the testing completed, which meant that the car occasionally got damp. Some of you may have noticed the condensation building up in the cockpit during our first public runs, following rain early that morning. As a result, the first time we took the car to 200mph, I had a misted-up windscreen and helmet visor. Now we need to make sure that the whole car is thoroughly dried out, and cleaned and oiled (or greased, lubricated, coated, treated, etc.) where necessary, ready to re-assemble for more adventures in 2018. Talking of 2018, we're off to South Africa! Next year is going to be "Bloodhound 500", as we aim to get the car above 500mph for the first time. It's taken far longer than we wanted, but finally the car is ready for some high-speed testing. Personally, I think we might get a wee bit faster than 500, but you'll have to wait until next year to find out. The aim is to get over halfway to our ultimate goal of 1,000mph, to develop and test the basic platform of our jet-powered chassis, steering, brake parachutes, desert wheels, so that it's ready to receive the rocket pack, which is still under development. We're still watching desert conditions closely, thanks to Surrey Satellites and their superb pictures. 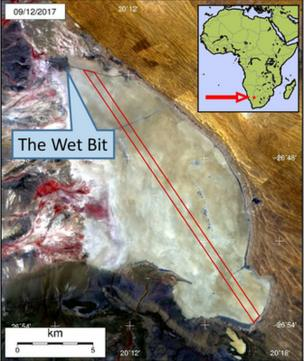 After a reassuringly dry year, the first signs of water have just started to appear at the top of Hakskeen Pan. We can expect more flooding over the next few months, as the wet season repairs and improves the desert surface, ready for Bloodhound's first runs next year. As well as testing the car at much higher speeds, Bloodhound 500 is another chance to show the car off to a global audience. We will be testing the live video and data streaming, relayed through the huge 70-metre-tall MTN phone/data masts, then out to the world thanks to Oracle's global cloud services. Next year we'll be finding out how this car handles at 500+ mph. Thanks to MTN, Oracle and co, the live streaming will let you do just that. We're also going to take the opportunity to offer small groups of VIP visitors a personal trip to see the car run. 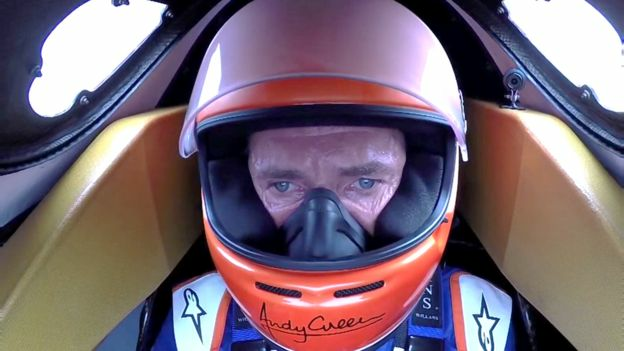 I've talked to a lot of people about watching a land speed record car run, although I confess I haven't seen it myself (I've been busy each time, inside the car). Every one of the spectators tells me that it's an unforgettable sight, so next year is a chance for some lucky people to see Bloodhound run at high speed for the first time. To that end, we're offering a limited number of "Access All Areas" passes. 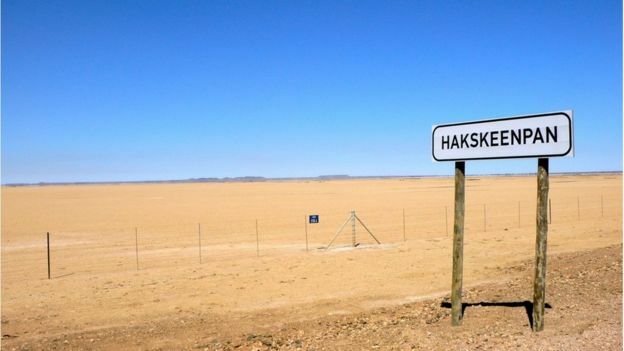 Come and join the next step in our "Engineering Adventure" with a visit to Hakskeen Pan - you can find more details on the project's website at Bloodhound 500. Running the car next year will also give our key audience - the young engineers and scientists of tomorrow - their first chance to follow the car's high-speed development. We're thrilled by the fact that we are already reaching over 100,000 students a year in the UK alone, with a much larger number following Bloodhound around the world. With higher speeds, and live video and data streaming, we are (as you would expect) aiming for even bigger audiences. We're also going to be busy running our various events at the Bloodhound Technical Centre. This includes our build-your-own rocket car workshop. 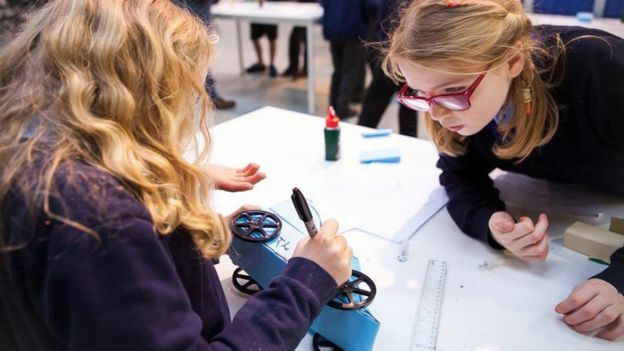 If you're looking for something to do over the Christmas holidays, there's still time to book your place for one of our rocket car experiences. Go along, go fast, and enjoy. With a successful and exciting 2017 behind us, we've now got an exciting and high-speed 2018 to look forward to. From all in the Bloodhound team, here's hoping that you enjoy the New Year adventures we have in store.